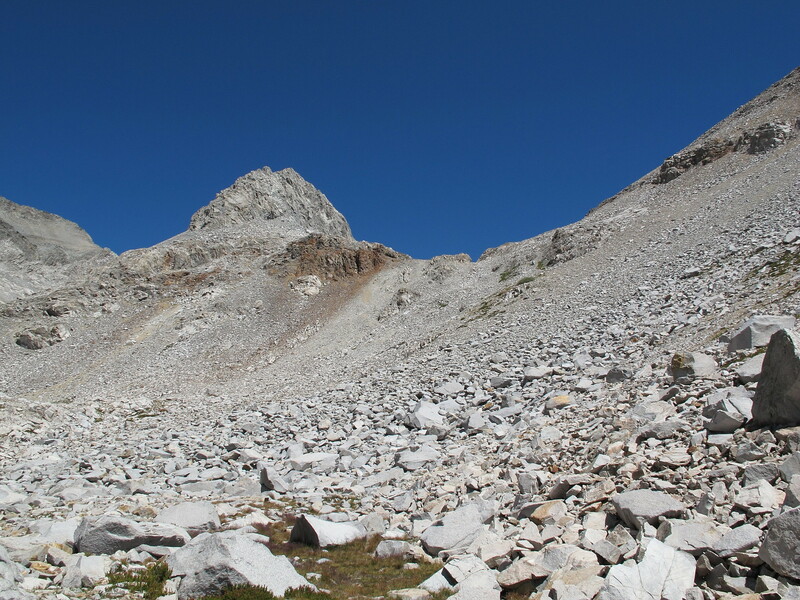 GENERAL OVERVIEW: This pass leads from Lake 11,654 which is to the Southwest of Hester Lake into the drainage basin above Ladder Lake and to the North of it. 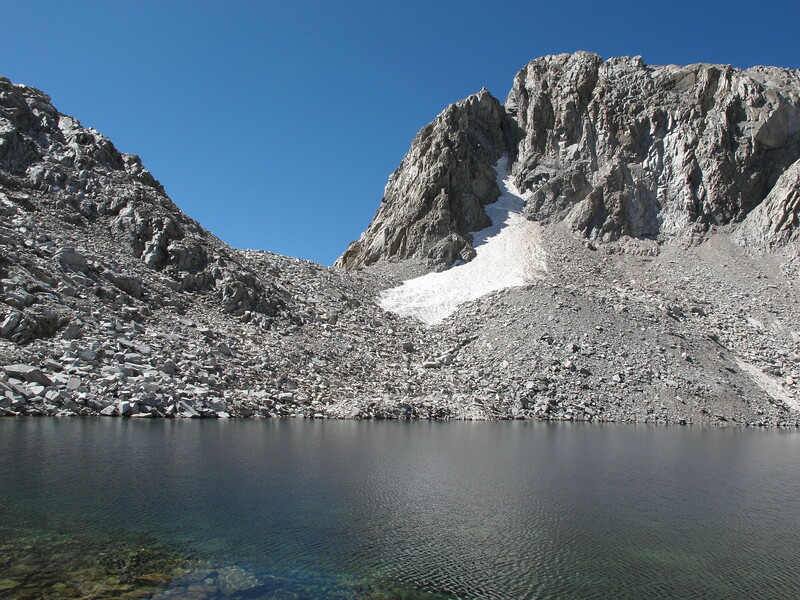 ROUTE DESCRIPTION: The North Side of this pass is a couple hundred foot Class 2 slope that rises directly above lake 11,654. 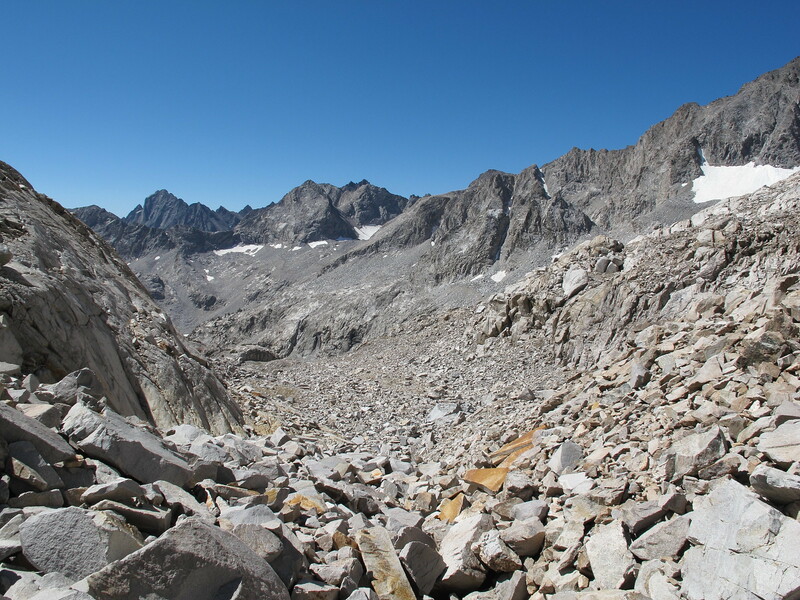 It has lots of boulders which are fairly stable but since it's the Black Divide caution should be used always. 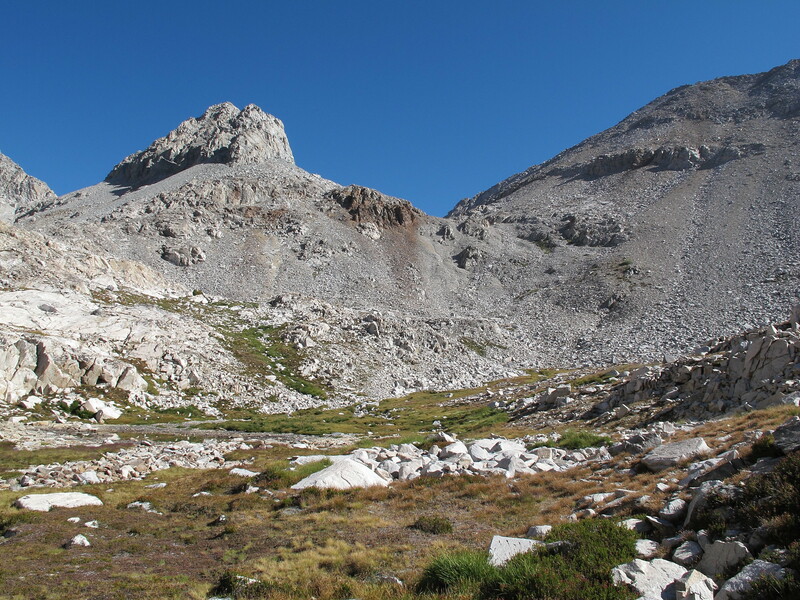 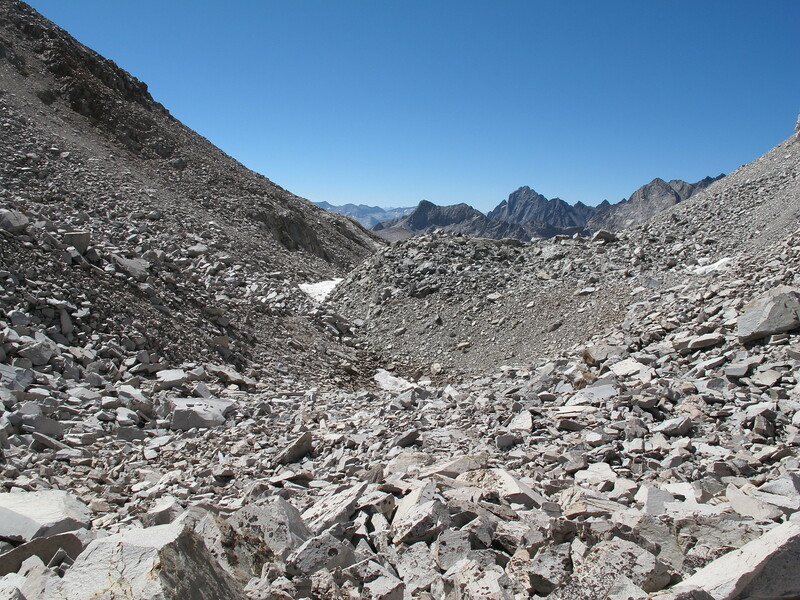 The South side of this pass goes through a moraine field initially and this area is looser than the North Side. 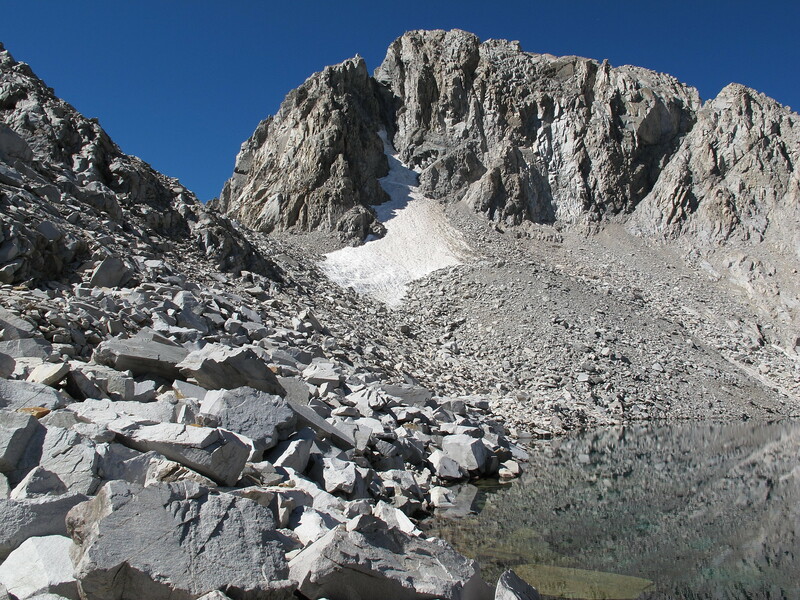 After that you begin to descend granite shelves to a few tarns. 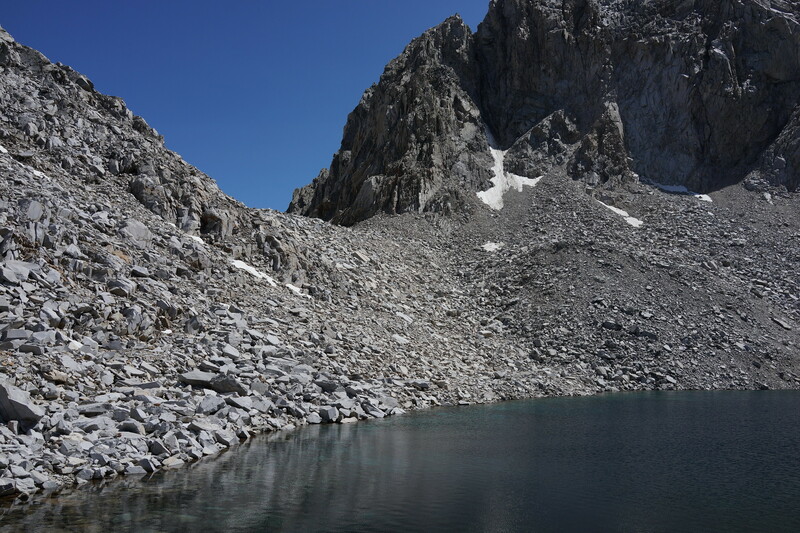 Following the drainage you pass a larger tarn on your right hand side and follow the outlet to Ladder Lake. 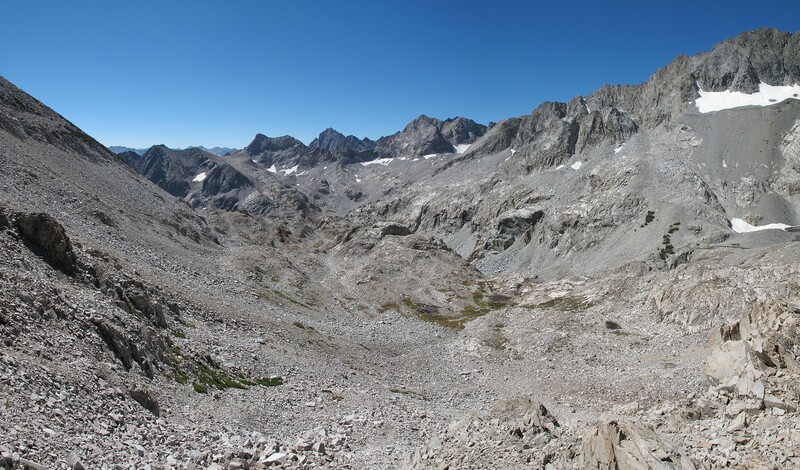 The best route is as described on the South side to take the primary drainage but it's also possible when you drop down to the meadow like area to continue straight towards Ladder Lake. 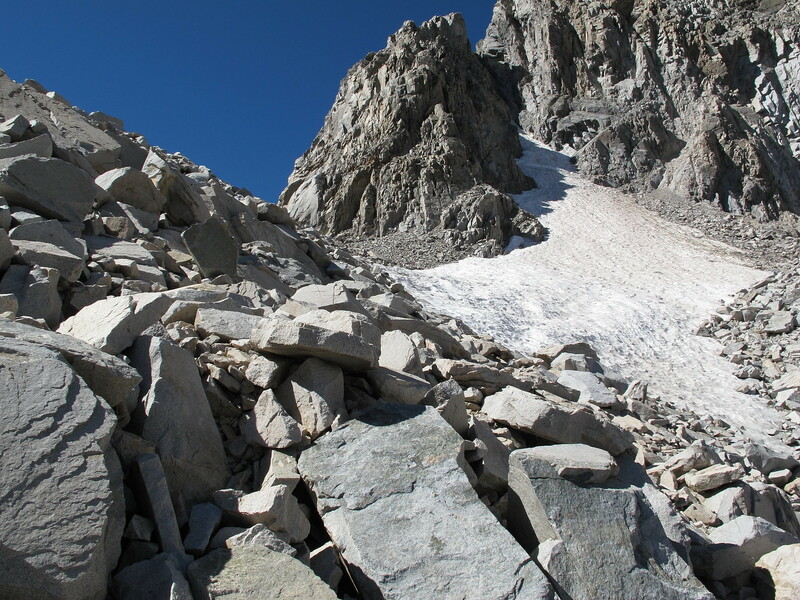 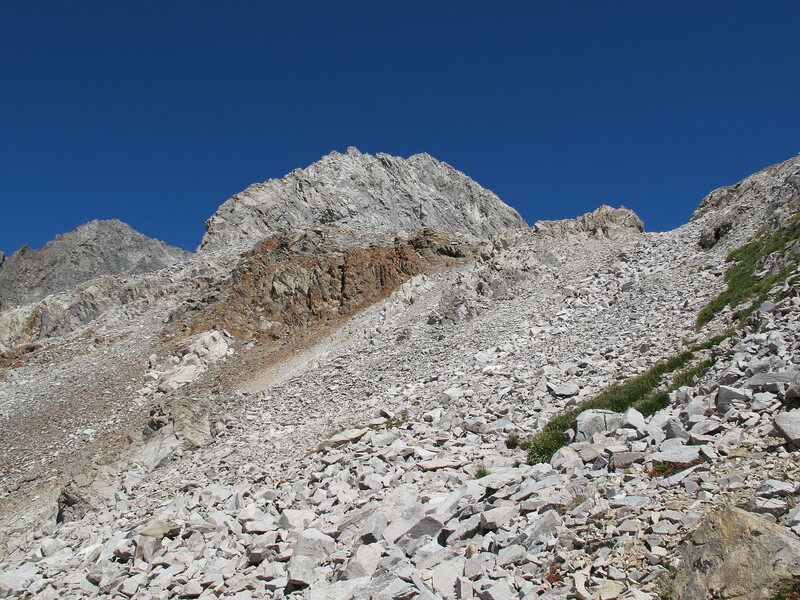 This route involves more talus while you drop to the lake.